Whether a couple is married and getting divorced or are unmarried and have a child together, child custody and parenting time often creates the most conflict in a family law case. It is important to remember that, in Oregon, joint custody can only be established with the agreement of both parents. If the parties cannot agree on joint custody then one parent will be designated the custodial parents. Custodial parents have the primary legal responsibility for the care of a minor child. This generally means that the custodial parent will make educational, medical, and major religious decisions on behalf of the child. If parents are generally in agreement about these issues then joint custody may be the right choice for you. 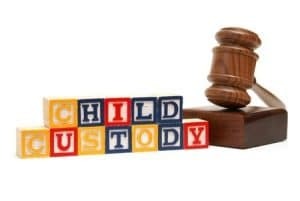 If, however, you cannot agree to joint custody then the court will look to a variety of factors to determine who is the appropriate custodial parent. • The willingness and ability of each parent to facilitate and encourage a close and continuing relationship between the other parent and the child. However, the court may not consider such willingness and ability if one parent shows that the other parent has sexually assaulted or engaged in a pattern of behavior of abuse against the parent or a child and that a continuing relationship with the other parent will endanger the health or safety of either parent or the child. An experienced family law attorney can help you navigate the many standards a court considers in custody disputes and help you present the relevant facts to the judge in a way that maximizes your chance for success.